The Council Complete of State meets to elect the Grand Master or the Lieutenant of the Grand Master. The election of the Grand Master requires a majority plus one of those present entitled to vote, as provided for in Art. 23 of the Order of Malta Constitution. 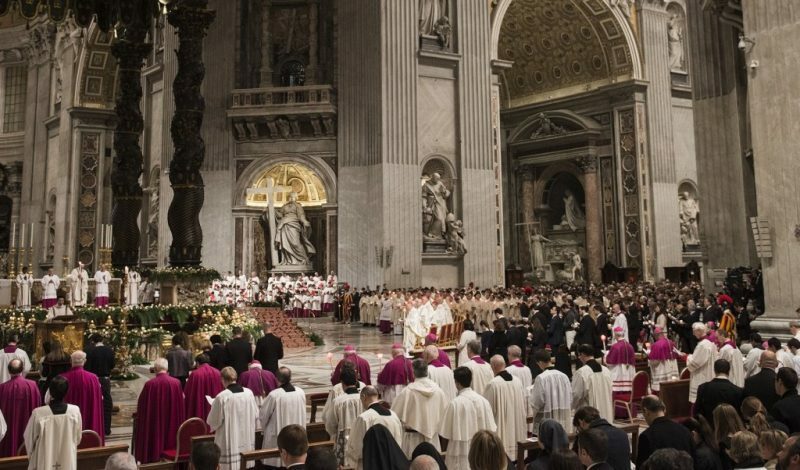 Among the holders of voting rights are the Lieutenant of the Grand Master or Interim Lieutenant, the members of the Sovereign Council, the Prelate, the Priors, the professed Bailiffs, two professed Knights delegated by each Priory and fifteen representatives of the National Associations. The Chapter General represents the Supreme Assembly of Knights and meets every five years to elect the members of the Sovereign Council, the Government Council and the Board of Auditors, to amend the Constitution and Code as appropriate and to discuss important issues such as spiritual status, the humanitarian activities programme and international relations of the Order. It is composed, among others, of representatives of Order bodies in the world: Grand Priories, Subpriories and National Associations. The Sovereign Council is the government of the Order. It is composed of the Grand Master, the holders of the four High Offices (Grand Commander, Grand Chancellor, Grand Hospitaller and Receiver of the Common Treasure) and six other members. Apart from the Grand Master, they are elected by the Chapter General, by a majority of the Knights present. The Sovereign Council is called by the Grand Master and meets at the seat of the Order at least six times a year and whenever special circumstances require it. This is the advisory board to the Sovereign Council in charge of studying political, religious, humanitarian assistance and international issues. It is convened and chaired by the Grand Master and is composed of six Councillors from various geographical regions elected by the Chapter General among Knights in the three Classes of the Order. It meets at least twice a year. The Communication Board supervises the internal and external communication activities of the Order and assists the Grand Chancellor in the development and implementation of communication programmes. It is composed of a President and six Councillors chosen from members of the Order, competent in various sectors of communication, management, public relations and mass-media. Is in charge of overseeing and auditing the income, the expenditures and all the assets of the Order. It consists of a President, four ordinary Councillors and two alternates, elected by the Chapter General, from amongst Knights with particular expertise in legal, economic and financial disciplines. It also serves as an advisory board of the Receiver of the Common Treasure. This is an expert advisory collegial body hat may advise the Grand Master, subject to consultation with the Sovereign Council, on relevant legal issues. It meets at the seat of the Order and is composed of a Chairman, a Vice-Chairman, a Secretary General and four members. These are appointed by the Grand Master with the advice of the Sovereign Council ideally from members of the Order, and are law experts, particularly in Order Law, public and international law and Canon Law. Pursuant to the Code, the Magistral Courts exercise the jurisdictional function of court of first resort and of appeal. 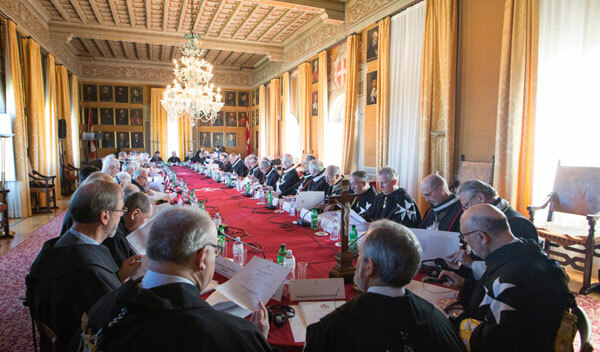 The Presidents of the Court, the Justices and the Chancellor are appointed by the Grand Master, with the deciding vote of the Sovereign Council, among Order members with legal expertise. Trial procedures, except for directives set forth by the Code, are subject to the rules of civil procedure of the State of the Vatican City. Upon written request of States or international law entities, the Magistral Courts may also act as an arbitration venue for international controversies. The Office of Advocate General provides legal assistance pursuant to the Code and is made up of independent members of the legal profession of eminent repute who are experts in law and versed in the traditions and customs of the Order. It is composed of the Advocate General and two alternates who are appointed by the Grand Master with the Sovereign Council for a period of three years renewable. The organisations of the Order should seek the advice and the assistance of the Office of the Advocate General whenever necessary and especially in cases which involve complex legal issue.